As promised, I'm back on the blogging wagon and I thought the best way to ease back into things would be to do a little (or not so little) review of my recent loan weekend purchases. The main products I've been buying have been from Boots. Boots is quite possibly one of my biggest vices, it's honestly quite dangerous for me to go in there, and you're about to see why. Firstly, let's talk about nail polishes, because I seem to have bought loads. 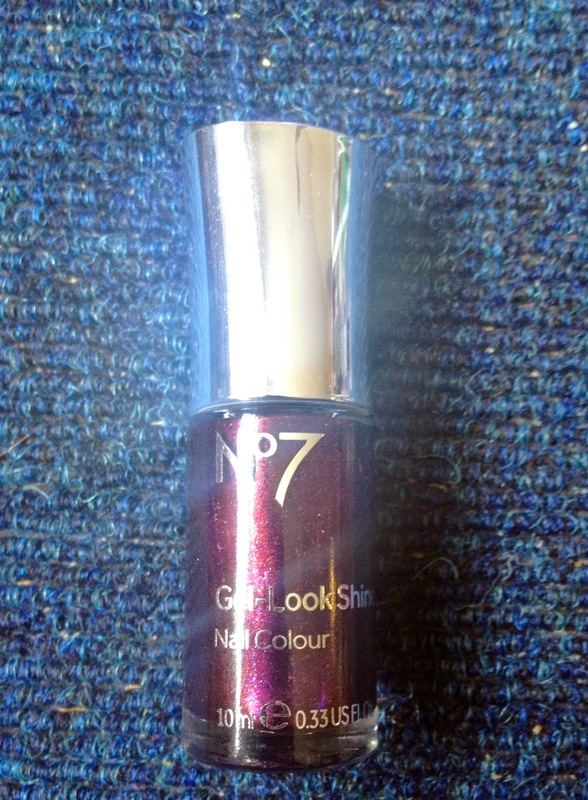 The first one I purchased was this one from No7's Gel Look Shine Range. No7 is a brand I usually stay away from, mainly because I don't usually have any money, but if I did, I'd definitely splash out more. This brand is great, its like a rival to Barry M's Gelly Hi-Shine range, but both do the job equally in my opinion. It glides on nicely and doesn't lose its sheen and pearlescence once it's on. This is the shade, Galaxy and I think it's around £7, but there was a 3 for 2 offer on when I bought this one. 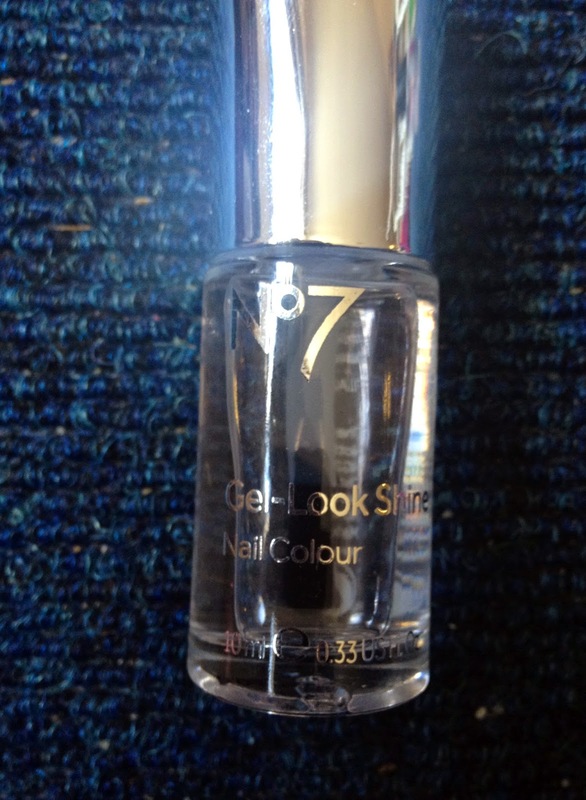 Keeping with No7, I also bought another of their polishes a few weeks ago, from the same Gel Look Shine range. This one is a top coat but is something I've been looking for, for a while. I wanted a top coat that left me with a high shine, no matter what colour was underneath. I was longing for Barry M to bring out a top coat in their Gelly Hi-Shine range, but then I came across No7's own version and was extremely pleased. It does exactly what I wanted and since using it, I've had lots of comments on the shininess of my nails. Again, I think this one was also around £7. Whilst in Boots, it occurred to me that although I have an abundance of nail polishes in all different shades and colours, I didn't actually possess an electric blue colour. Naturally, I rectified this, in the form of Barry M's Blue Grape, from their Gelly Hi-Shine range. I was dubious about trying the colour because I tend to stay within my comfort zone of dark colours such as blacks, reds, burgundys and purples, but I went for it regardless. The colour is beautiful and I'm glad I bought it, I also had compliments wearing this shade. I think these are the usual £3.99 to £4 in Boots. Another brand I've been buying a lot of lately is Sally Hansen. The nail range is brilliant, for anyone who is obsessed with nail painting. I bought two nail polishes from her range, the first being the Hard as Nails polish, which is a strengthener that I generally use under polishes, but have also used it on top for extra strength too. 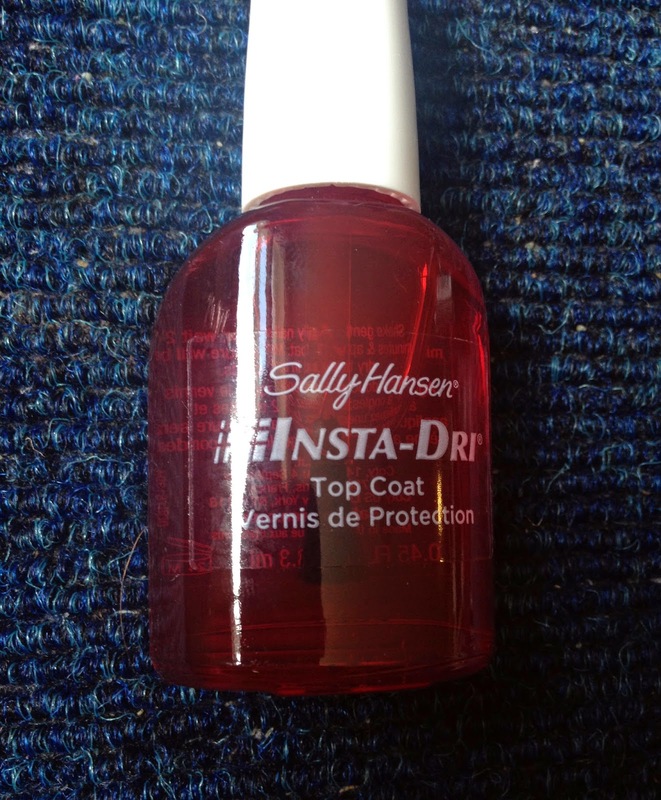 The second Sally Hansen polish I bought was the Insta-Dri. I wasn't sure if this polish would work, or whether it would just leave my nails feeling tacky but I was pleasantly surprised. Both these polishes are ones that I highly recommend to keep nails as strong as possible and also just to save time for those that are impatient like me when it comes to waiting for nails to dry. Moving out of the nail polish area, I also bought two lipsticks from Boots. 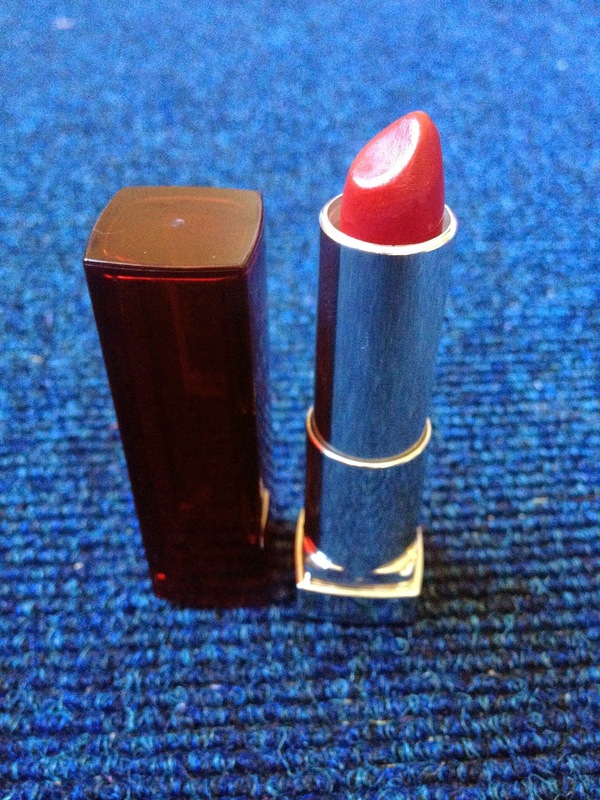 The first of these was the Maybelline Colour Sensational lipstick in 547 Pleasure Me Red. I could've squealed with excitement when I found this because I've been looking for a deep, dark red shade for ages and this was exactly the shade I wanted. I love the colour of this lipstick and the texture, but the only thing I would say is that I found it didn't stay on as long as I'd like. Luckily I use Lipcote, so I can rectify this somewhat, but that would be my only flaw with it. I believe this was around £7.99 in Boots. The second polish I bought was Revlon Super Lustrous in 663 Va Va Violet. This is beautiful dark purple shade, which I love. 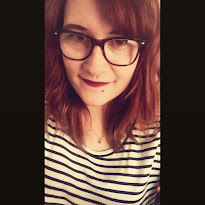 I'm a fan of purple lipsticks anyway, but this one is a deep, rich shade and is possibly my new favourite lipstick. Like the last lipstick mentioned, this one also didn't appear to stay on for a long time, but again, this is easily fixed by a coat of Lipcote. This was £7.49 in Boots. The last two things I want to mention aren't beauty products but are two things I'm in love with. 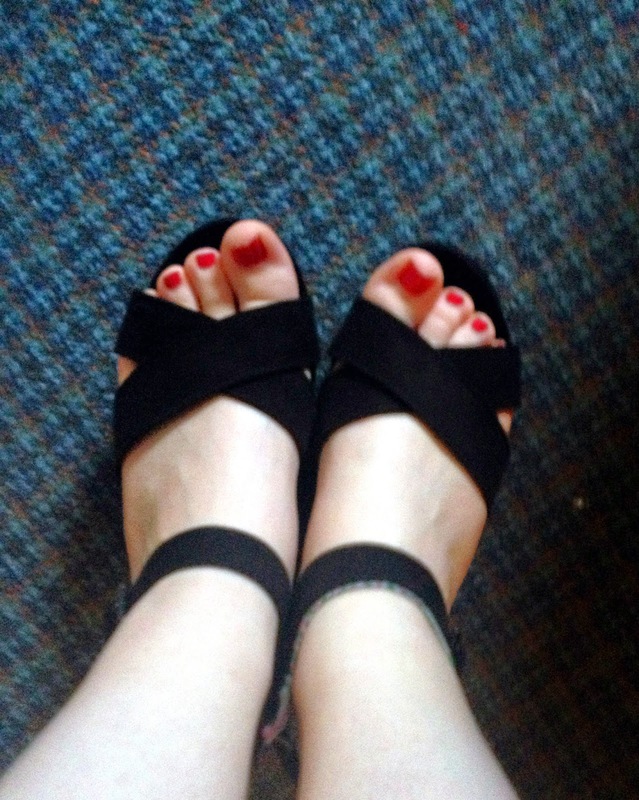 Firstly, a pair of flatform open toe wedges from Primark. I just can't walk in high-heeled shoes and for that reason try to stick to wedges for nights out so these are perfect for me. I already have a pair of flatfoms from Primark, but they're slightly different and have a closed toe as opposed to these ones. Of course it means I'll have to shun the tights and brave getting my pins out but I can live with that because I adore these shoes. They were £10 in Primark and look beautiful with freshly painted nails. 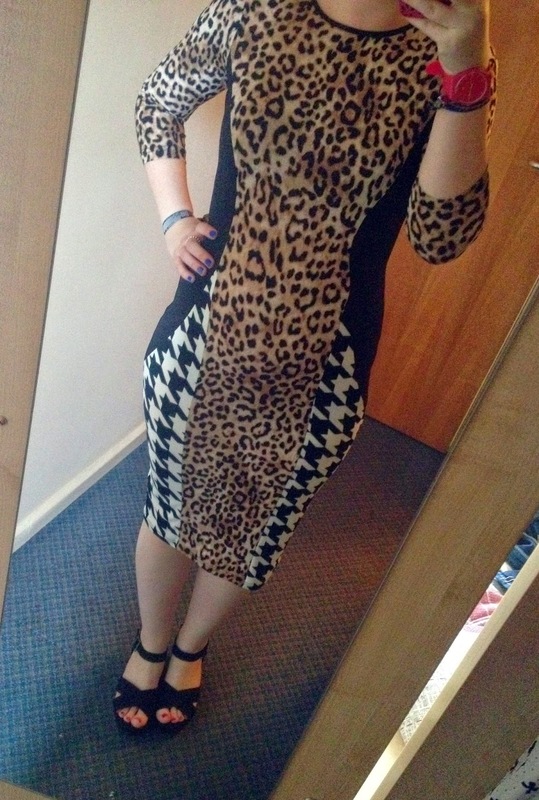 The final thing is a dress I recently purchased from Ebay. Its a River Island dress and the RRP was £35 but I bagged it, brand new with tags on Ebay for £16 (not including postage). I was over the moon when I won this because I'd seen it a while ago, only with tartan instead of leopard print. I love the fact that its a midi dress, meaning I don't feel too uncomfortable going tight-less and the black panels down the side are incredibly slimming. I strutted around the flat feeling fabulous when it arrived and I can't wait to wear it on a night out with the shoes as well!